Exceptionally well maintained, LIKE NEW 4bed/4.5bath townhome with a two car garage at The Revelry! 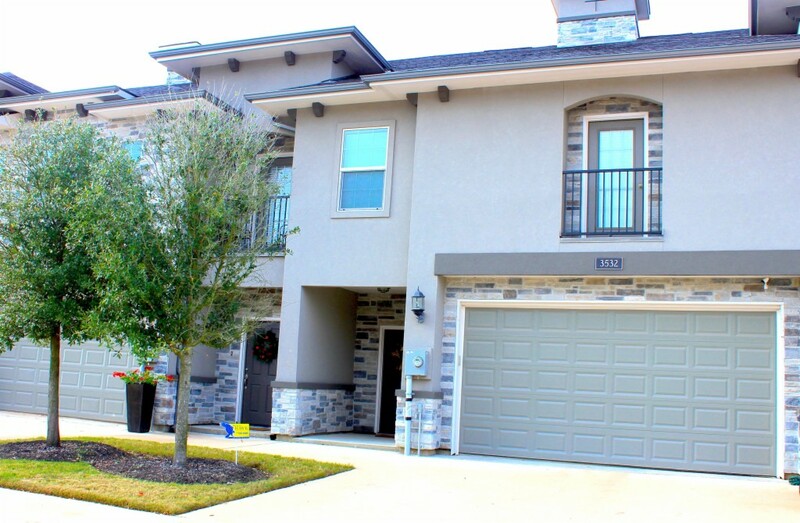 Located less than 10 minutes from Texas A&M, this townhome is a Must See! Features include vinyl plank floors throughout the common areas, granite countertops and tile backsplash, large bedrooms with private bathrooms and walk in closets, 2in wood faux blinds throughout, 1/2 bath downstairs for guests and more. Conveniently located near Texas A&M and excellent shopping and dining. Enjoy the open floor plan and covered back patio with privacy fenced grass backyard. Refrigerator, washer and dryer will remain. Some common area furniture negotiable. HOA fee includes internet.